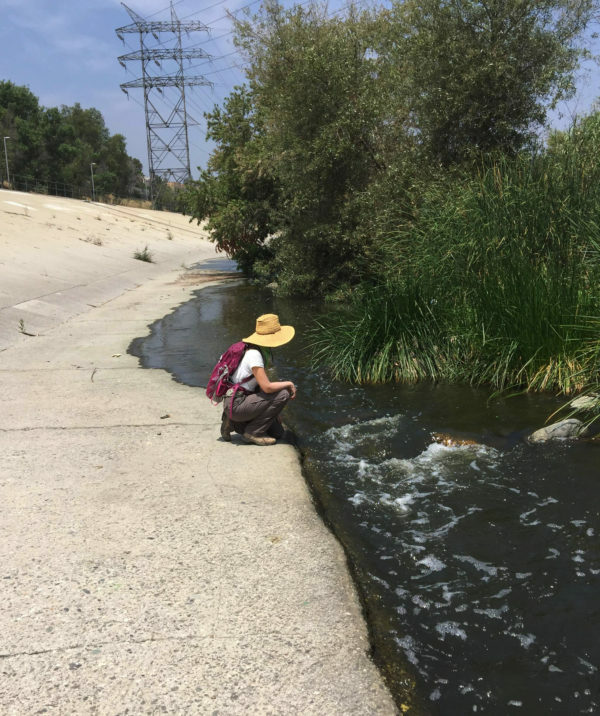 Right now the Los Angeles River is little more than a fifty-one mile concrete storm sewer. But if funding is approved by Congress, the Corps of Engineers which usually lays concrete is prepared to rip up three miles of concrete in the Glendale Narrows section to return the river to a more natural state. Originally the river was seasonal--little more than a braided trickle in summer that would transform into a raging torrent during the rainy season. It would scour gravel and mud across a seven mile wide floodplain. After a particularly bad flood in 1938, the booming city decided to encase it in a concrete straight jacket. Conservation groups have been working piecemeal to return some nature to the river. In cooperation with the city, they have restored trees and shrubs along the river's course and restored some small streams, creating new parkland. The Corps has asked Congress to provide $380 million to begin returning the abused watercourse to a semblance of what it was beginning in the Elysian Valley, aptly named. [photo] The City of Los Angeles is expected to provide a billion dollars for the project. The river cannot be entirely natural even with such a large expenditure. It is no longer connected to groundwater sources and connection cannot be accomplished until toxin contamination from by several DOD facilities in the area including the Santa Susanna Field Station, a former rocket engine testing center, is removed. Also, the former flood plain is heavily developed, making it impossible to allow the river to return to its former broad floodplain. 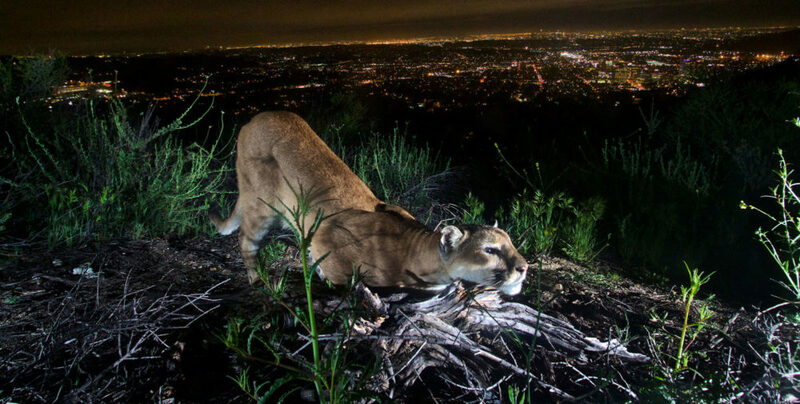 Of course, more green areas in a city as dense as Los Angeles is a good thing; but the city faces other pressing problems that should have a claim on its finances, such as rampant homelessness. The question becomes: how far should river restoration go? Examples from other cities are available. Munich, Germany naturalized five miles of the channelized Isar and it is now a major tourist attraction as well as providing improved flood control. Replacing artificial sills with honeycomb-designed ramps with intermediate pools provides more suitable fish habitat, better water quality, and a more natural appearance to the river. Thirty-five million Euros were spent on the project, split 55-45% between the Bavarian State government and the City of Munich. The river and its gently sloping banks are now a favorite recreation site for Munich residents. The project took eleven years to complete. At home, parts of Milwaukee's three urban rivers, Milwaukee, Menomonee, and Kinnickinnic are being revitalized. Five billion has been spent over three decades improving the quality of the waterways. A big improvement came with the tunneling of deep sewage conduits that channel urban run off away from the rivers into treatment facilities. Before this happened, dead rats could be seen floating in the turbid waters of the Milwaukee. During heavy downpours, sewer runoff into the rivers still occurs, but it has been significantly reduced. The removal of a dam contributed to vast improvement in river water quality. Where their was once a dirty, low oxygen pond there are clear running rapids that school children enjoy canoeing and to which wildlife has returned. Today, forty species of fish inhabit the waters. Waterbirds fish from its banks and there are reports of otters and foxes attracted to the renewed habitat. The Corps plan for Los Angeles plan would recreate 719 acres of wetlands, remove three miles of concrete to create new riparian habitat, and re-establish a confluence with a stream called Verdugo Wash. After the Glendale Narrows revitalization, the city will look at the river's lower twenty miles that flow through low-income Latino neighborhoods. Even here nature finds a way to survive, as some small patches of wetlands remain in tact. The Los Angeles river will not be allowed to meander as it once did--hence the project is not referred to as "restoration" but "enhancement" by planners. What ever you call it, L.A. has some excellent guidance available to it as it begins to bring Nature back to the urban river that flows through its heart.